What is the order of the countries in the 2018 Olympics opening ceremony? The 2018 Winter Olympics are FINALLY here! 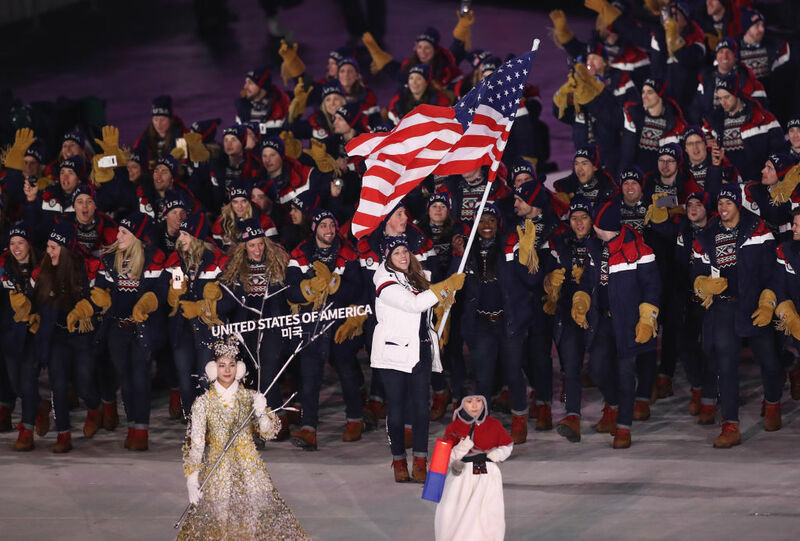 In the early hours of Friday, February 9th, (well, early in the Eastern time zone, at least) PyeongChang kicked off this year’s games with a beautiful opening ceremony. But don’t worry. If you didn’t set your alarms for 6 a.m., you can still watch the 2018 Olympics opening ceremony on Friday night at 8 p.m. Eastern on NBC. This year’s opening ceremony included a gorgeous White Tiger, exciting performances, and lots of dancing. And of course, the traditional Parade of Nations. Every moment was well thought-out to highlight this year’s theme: peace, history, and modern culture. But as you watch the Parade of Nations, you might be wondering: What is the order of countries in the 2018 Olympics opening ceremony? The order of countries in the Parade of Nations changes every year. Three rules were determined for the 1928 Olympics Parade of Nations in Amsterdam that we still follow to this day. One, that Greece will march first, to honor that the first Olympics were held in Greece. Two, that the host nation will march last. (This year, in PyeongChang, South and North Korea will march together under the unified Korean flag.) And third, that the rest of the countries will follow in alphabetical order of the host nation’s native language. At the 2018 Olympics opening ceremony, after the delegation from Greece marched, the rest followed suit in alphabetical order, starting with Ghana. Here’s the full order of countries for the 2018 opening ceremony. It’s going to be a great winter games!